What Is The Best MMA Mouthguard ? It doesn’t matter if you are into MMA, Boxing or Muay Thai owning a mouthguuard is one of the most important pieces of equipment that you can have. In this guide we will be explaining the importance of mouthguards as well as reviewing what we consider to be the best MMA mouthguard, rugby and boxing gum shields. Mouthguards act like a shock absorber, spreading the impact force from a blow over a larger area and increasing the time for the peak force to occur. 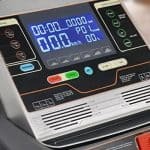 Dissipating the energy of the blow over a larger area and longer time reduces its effect preventing or vastly reducing any injury. 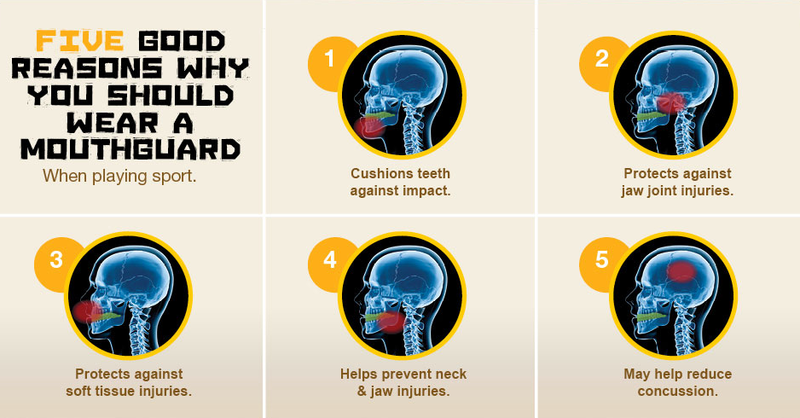 If you decide to not wear a mouthguard you will quickly learn that a blow to the lower face can send shock waves throughout your skull. In addition it won’t take long to realise that a direct impact to your lower jaw can pretty much f#ck your teeth up lol. Furthermore the transmitted forces from a blow can sometimes fracture the lower jaw or cause concussion if these forces travel through the jaw joint (TMJ) to the very base of the skull. For purposes of Boxing and MMA there are two different types of mouthguard that can be used. These are boil and bite and custom mouthguards. We will explain more about these later on. 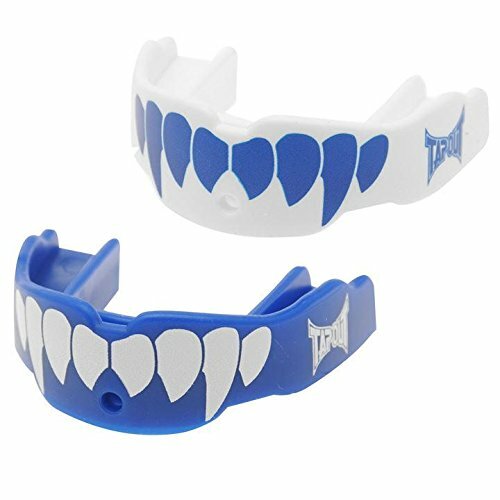 First of all here are the top 5 best boil and bite mouthguards for MMA training. The Beast Gear Beast Guard is the number one best-selling MMA mouthguard in the world. With a five-star rating on Amazon from over seven hundred cusomer reviews, previous buyers seem to be very happy with their purchase. The Beast Guard offers ultimate protection from blows and impacts and is suitable for all contact sports. Featuring self-mould technology, it is possible to get a tight fit that is also comfortable. In addition, if needed you can also remould it, which is a positive of Beast Gears self-mould technology. At the time of writing the Beast Guard has just been given a 50% discount, grab a bargain while you can. 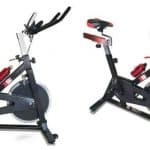 The RDX brand have quickly gained a reputation for producing top quality boxing and MMA gear at a very affordable price. 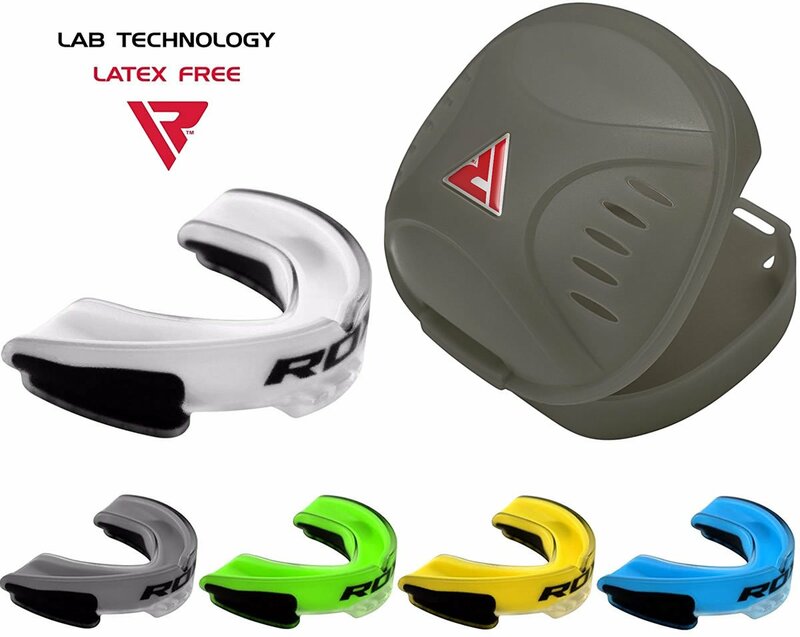 The RDX mouthguard is another very popular choice and it comes in a wide variety of colour options. It can be re-boiled if needed for perfect teeth alignment and features Tri-Flow perforations to allow air to escape, making breathing under strain easier. To get the perfect fit simply boil for 10 – 12 seconds, cool it down under running water and place in mouth. Using your fingers, press onto your teeth and let the mold cool down around the frame of your teeth. Another very good mouthguard from a reputable brand and at a reasonable price. 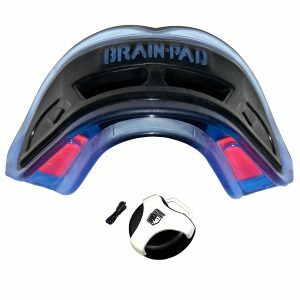 This mouthguard by Brain Pad has been proven to reduce impact forces to the base of the skull and (TMJ) by upto 40%. When compared to other MMA gum shields you will notice that this is a lot more bulkier. That been said, reviews say that this mouthguard is still comfortable to wear and its hard to find a bad review on this product. 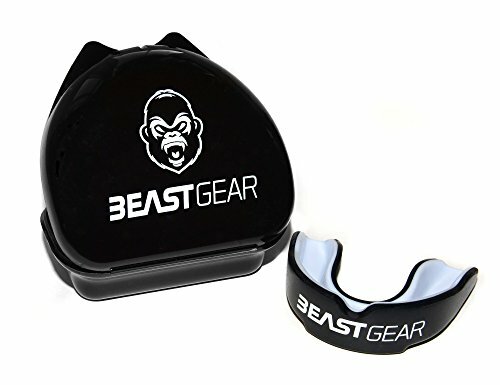 For a relatively cheap MMA mouthguard this model packs a punch as well as been able to take one and is considered by many as one of the best MMA mouthguards. 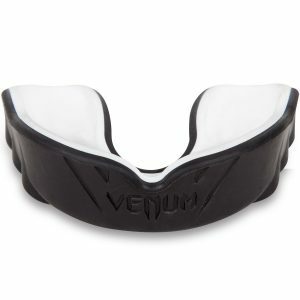 Venum are another brand that are known to make some of the best combat mouthguards for both MMA and Boxing. 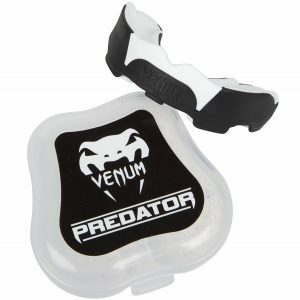 The Venum Predator Mouth Guard provides a perfect combination of unbelievable comfort, flexibility, and shock absorption. The low profile design and advanced next fit gel frame that molds to your teeth is not only a perfect and comfortable custom fit, but also allows better breathability during training. 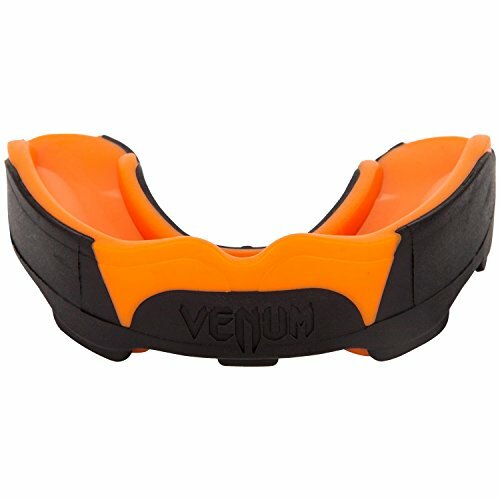 Its dual-core design made with a high density rubber frame, the Venum Predator Mouth Guard aligns to your jaw, ensuring better absorption with every impact. This combat Mouthguard by Tapout features their Ever Mold technology. 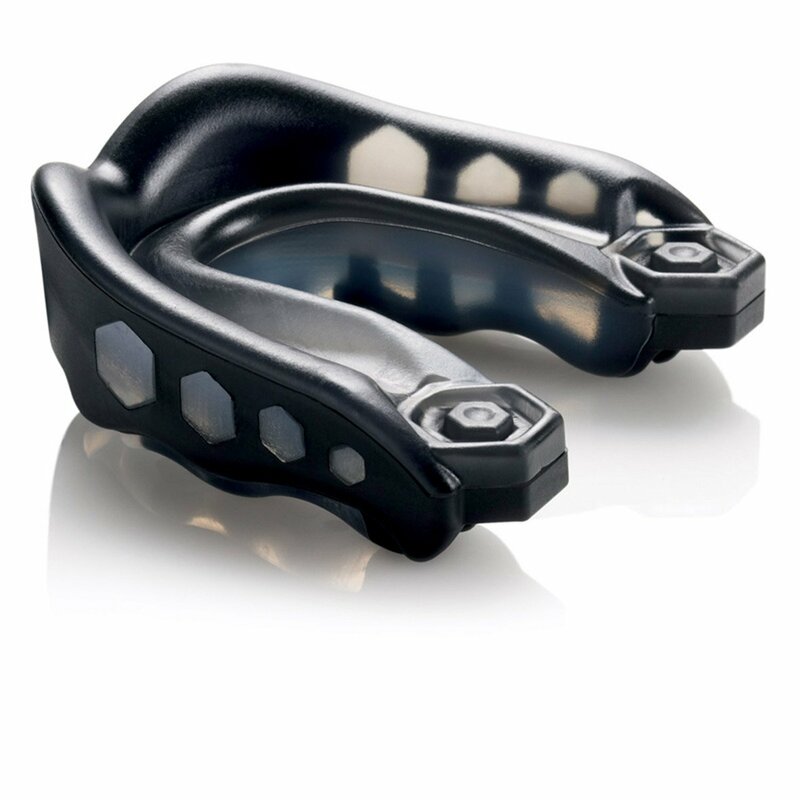 This allows the Mouthguard to re-boiled and re-molded multiple times allowing for the perfect fit. When trying this mouthguard we found it easy to get the perfect fit first time and so didn’t need to reboil it but did anyway. We found that it re-molded with no problems. 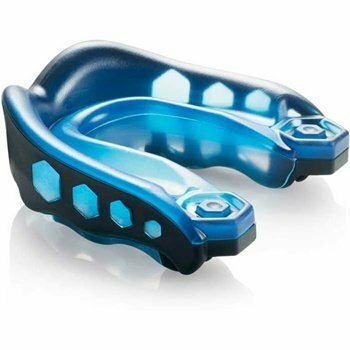 Overall this is a very good Mouthguard which comes with a $30,000 dental warranty for piece of mind. 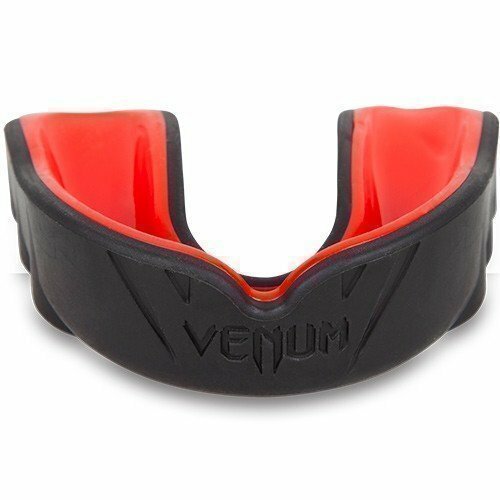 The Venum Challenger mouth guard has been designed to have the perfect adjustment and offer enhanced protection to your teeth, lips and gums. With the Nexfit gel advanced technology, it provides great comfort during your training. Many people say this is the best boil and bite mouthguard and customer reviews agree. If you are looking for a fairly cheap mouthguard that fits perfectly when done correctly then look no further. Shock Doctor are known to make mouthguards for pretty much any sport where one is needed. There MMA boil and bite mouthguards are considered to be amongst the very best gum shields for MMA training. This model provides excellent impact protection and a good tight fit. Been made from multi layers to incorporate a shock system, this mouthguard is one of the best protection providing mouthguards that money can buy. 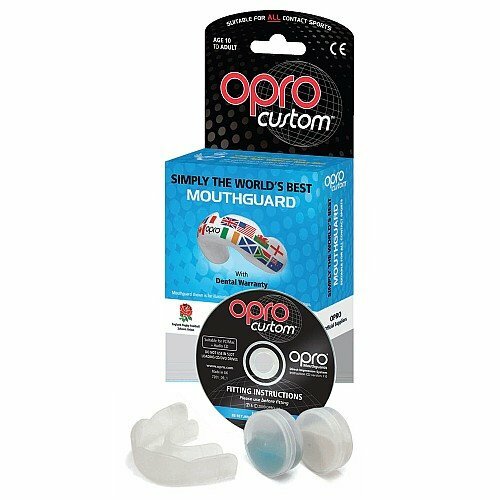 When it comes to mouthguards Opro are the best of the best. For years this brand has been making some of the very best mouthguards for, boxing, MMA, rugby, hockey, lacrosse the list goes on. If you are looking for ultimate tooth, gum and jaw protection then this is the one to buy. Like all the best mouthguards this one can be re-boiled if you don’t get the exact for first time. Once you have the perfect fit you will notice how the stretch zones allow for a comfortable and secure fit. The Opro Platinum also maintains a clear palate for easy and clear speech and breathability. 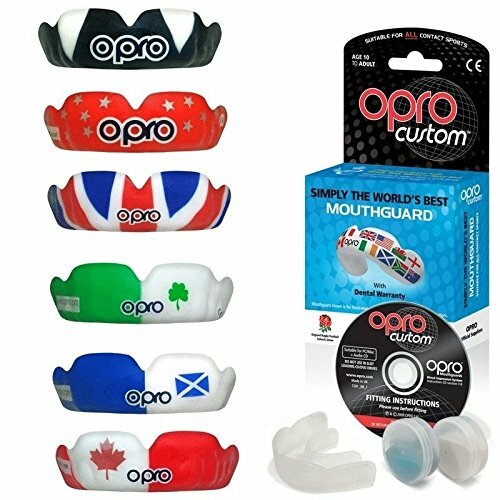 There is a reason Opro have been the sole provider of mouthguards for many of the world’s leading sports teams and organisations including Ultimate Fighting Championship (UFC), England Boxing, England Rugby Union and League, England Hockey, and GB Taekwondo, the reason is they offer the best protection out of all the brands making them. 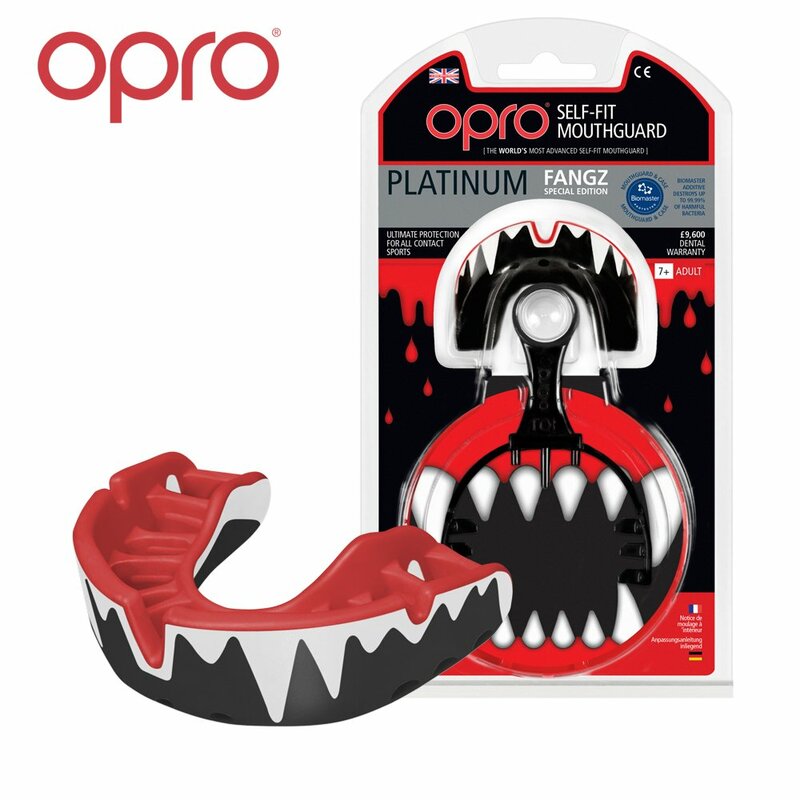 Another benefit to buying an Opro mouth guard is that they offer an 18 month dental warranty that goes up to £17,500. The boil and bite is the most popular type of mouthguard that is used for Boxing ,MMA and Muay Thai. The type of mouthguard is made from a material that softens when heated in hot water. This allows the user to mould the mouthguard to fit correctly to their teeth. Once it has cooled down it stays in shape. This allows for a snug fit that will provide adequate protection if done correctly. In this video you can see the best way to correctly mould your boil and bite mouthguard. Custom mouthguards are easily the best mouthguard for MMA. The difference between custom mouthguards and boil and bite is that you will get an exact fit to your to your teeth. The benefits of custom MMA mouthguards are that they won’t come flying out your mouth when you get hit and its also a lot easier to breath. To make a custom mouthguard you have to take a mould of your teeth. This mould is then used to make your mouthguard to the dimensions of your teeth, which leads to a much more better fitting mouthguard. 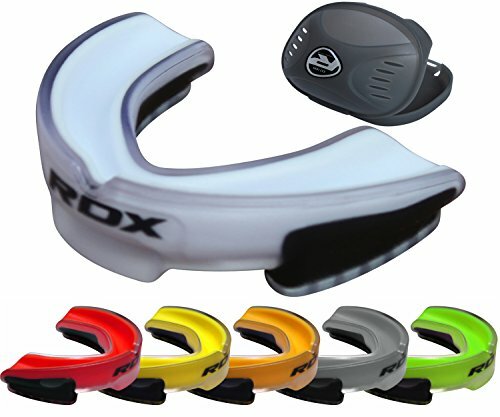 These type of mouthguards offer the best protection and I would recommend that you get one if you don’t mind spending a little more. Custom mouthguards can be bought online. The manufacturer will send you an impression kit which is used for the mould that your mouthguard will be made from. This mould is then sent back and a short time afterwards you will receive your very own custom mouthguard. There is no doubt about it a mouthguard is one of, if not the most important pieces of equipment that a combat sport participant can own. The protection provided will undoubtedly help prevent injury. In addition you will save yourself a lot of money in dentist bills. 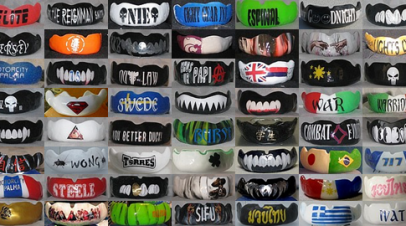 Choosing the best MMA Mouthguard should be a lot easier if you have read this far. 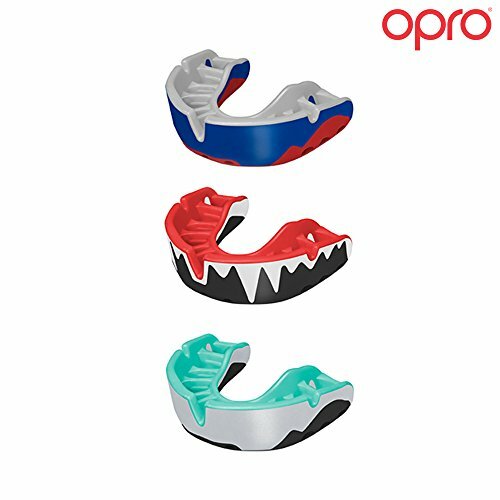 Remember the best Mouthguard for MMA is one that fits tightly and is comfortable at the same time and provides plenty of protection and shock absorption.